The state of Florida has been struck by many hurricanes over its history. As a result, the infrastructure that is not able to withstand hurricanes quickly falls, and strict building regulations ensure that new buildings are able to withstand the strong winds and rain that come with hurricanes. The Northeast, however, rarely experiences the severe weather produced by hurricanes, and many of the buildings in the Northeast are well over 100 years old. As a result, Hurricane Sandy caused tens of billions of dollars of damage when it struck New Jersey and other portions of the Northeast. Here are five of the toughest engineering challenges caused by Hurricane Sandy. When Hurricane Charley struck Orlando, many people were left without electricity for one month or longer. Since Orlando had not been struck by hurricane since the 1960s, its electrical infrastructure had not evolved to withstand the power of a hurricane. This problem is pronounced in the Northeast, where much of the electrical infrastructure is older than that used in Orlando. Despite the sheer number of electrical engineers working to restore power, many in the Northeast will be without power for well over a month. The high population of the Northeast further complicates this challenge, and citizens will undoubtedly grow restless as they are unable to live their lives in a manner they are used to. The infrastructure needed to deliver gasoline is far more complex than many realize, and the pipes and roads that are used to transport gasoline were severely damaged by Hurricane Sandy. Because of this, many people will be forced to deal with high gasoline prices and, in some cases, difficulties in finding gasoline at all. It will be up to engineers to restore the infrastructure used to deliver gasoline as quickly as possible to allow residents to resume their lives. The diverse architecture of the Northeast is one of the aspects that makes it such a beautiful part of the nation. For engineers, however, this diverse architecture makes repairs even more difficult. In states like Florida, most buildings are only 20 to 40 years old. In the Northeast, buildings may be well over 100 years old. Repairing modern buildings is fairly easy, but repairing those built over a century ago will require specialized knowledge that will challenge engineers in the coming months and years. Much like the buildings in the Northeast, many of the roads that allow people to travel throughout the Northeast are old. Because of their age, many these roads were severely damaged when the hurricane struck. Another problem that engineers will be faced with is dealing with changing patterns of traffic. In the aftermath of the hurricane, many people relocated to different areas of the Northeast, and some roads may not be wide enough to support the increased volume of traffic they will experience. Dealing with the logistics of a shifted Northeast will pose a serious challenge to engineers. The Northeast has the highest population density in the United States by large margin. Because of this, civil engineering is more important in the Northeast than in any other part of the nation. 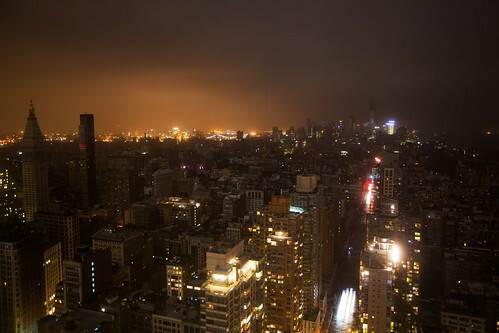 In the aftermath of Hurricane Sandy, engineers will need to take steps to restore large cities and prepare for future weather events. Further, engineers will need to devise plans for dealing with future hurricane strikes in the region. Doug Jackson is an electrical engineer and guest author at Engineering Management Review, a site with resources and articles about engineering management programs.